What’s Going On is a compilation from Columbia and Playtone Records. Released on October 30, 2001, this compilation is a benefit album for the United Way’s September 11th Fund and Artists Against Aids Worldwide. The compilation contains remixes of various artists performing versions of Marvin Gaye’s What’s Going On. 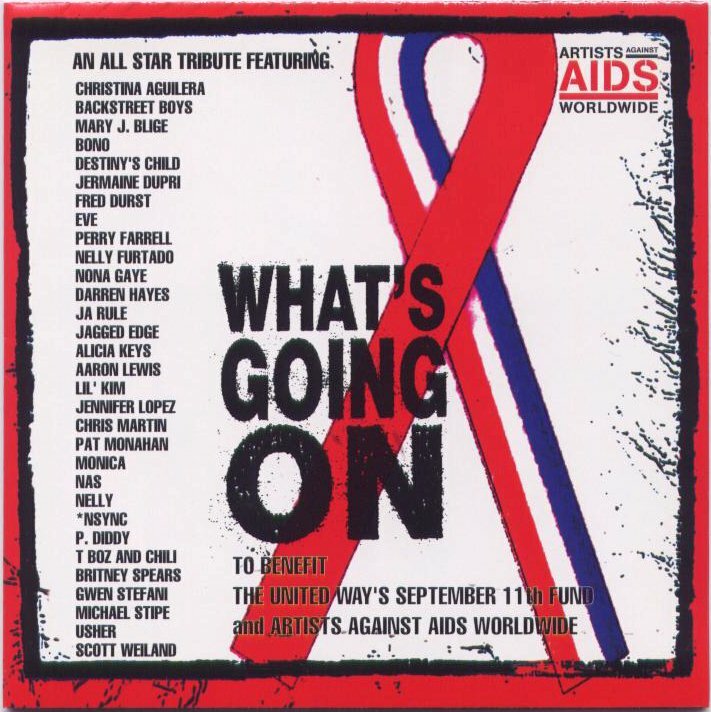 Perry Farrell performs on the track What’s Going On (Fred Durst’s Reality Check Mix) along with Bono, Elija Blue, Scott Weiland and Wes Scantlin. Limp Bizkits’ Fred Durst remixed the track, which is exclusive to this release. There are several versions of this compilation. In addition to North American, European and the Japanese versions, there are is a promotional “Acetate” CDR and several “single” versions on both CD and 12″ Vinyl with slightly different track listings.